Here's some good news for all of you Vapor Couture fans out there. They just released two brand new flavors to their cartridge lineup. The new cartridge flavors are Arctic Mint and Strawberry Champagne. "We're thrilled to announce the arrival of two decadent taste sensations that you can only get at Vapor Couture. 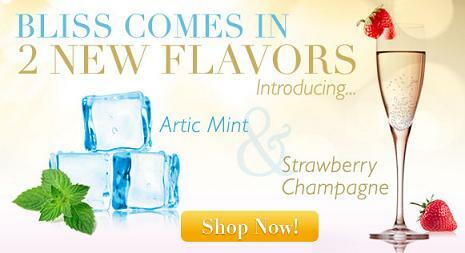 Experience the sparkle and sophistication of VC Strawberry Champagne and then cool down with VC Arctic Mint." These two new vapor cartridge flavors are available in 1.8%, 1.2%, 0.6% and zero nicotine strengths. The Vapor Couture flavor cartridges are available in four unique and beautiful colors, so you can match your flavor cartridges with your e-cig batteries, or mix things up a bit and show off your own personal style. So stop by the official Vapor Couture website to get your hands on some of the most stylish e-cigs and vaping accessories out there today. The Best USB Powered E-cigarette? Brand New Volcanocigs TV Commercial - You Smell!